Superior-quality formulation – Proteins play a vital role in muscle building and maintaining your overall physical health. People who are into body building or who exercise regularly need adequate protein supply to maintain body strength and energy. The BSN Syntha-6 can help restore the strength of worn-out muscles during strenuous exercise sessions. Among the many benefits of including proteins in regular diet through food intake and supplements is healthy hair, skin and nails. 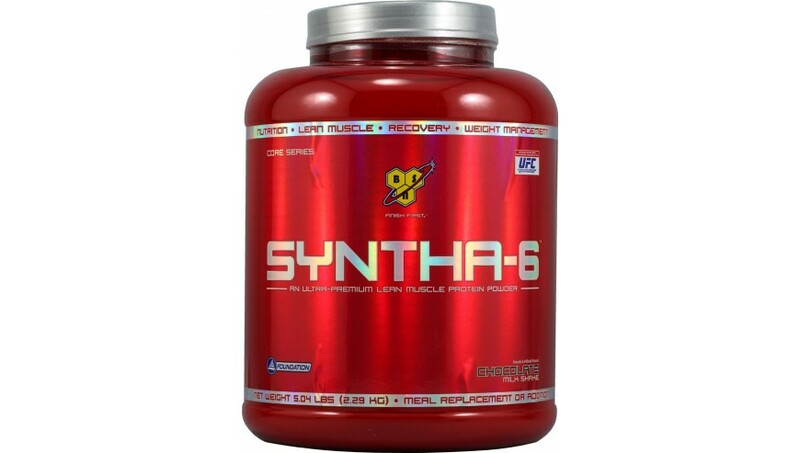 Aids in muscle recovery - The BSN Syntha-6 is easy to prepare as it does not take too much time to mix in milk, water or juice as . Whey protein is one of the ingredients of the BSN Syntha-6, which offers proper nourishment to help build strong muscles. It also offers strength during training sessions and helps the muscles recover from fatigue. This protein-enriched powder works as a filling and wholesome alternative to meals or a good and healthy snack in between the meals to satiate your hunger pangs.